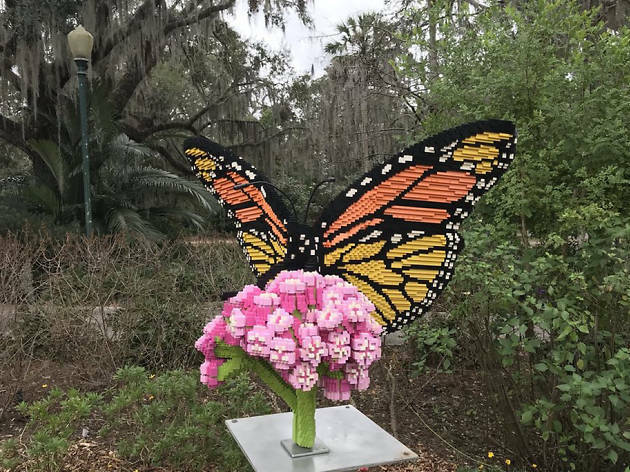 Sure, Orlando’s theme parks are the city’s most defining characteristic—but what would you say if we told you that there are other sorts of parks worth visiting in the area? 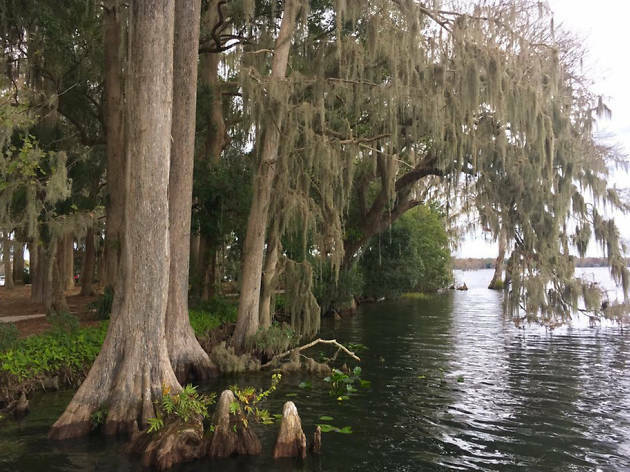 Florida is home to a diverse ecosystem—you could be sunbathing at the beach one minute and diving underground in freshwater caves the other minute—and the best parks in Orlando highlight just that. From cultural destinations to awesome restaurants and fun bars, Central Florida—where Orlando is located—has it all. But if it’s a cold beer and the sound of birds chirping that you’re craving, these parks will get you in the proper state of mind. Hike, swim, paddle or bike your way through these gardens—it’s time to explore nature. 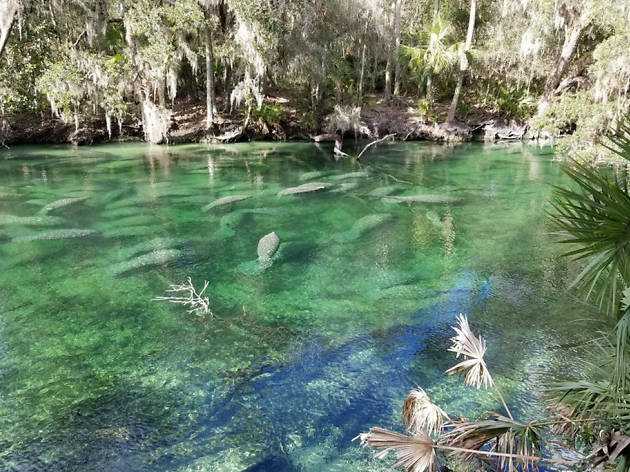 Just north of Orlando is this popular natural spring, famous for the manatees that flock here each winter. These gentle giants congregate in large numbers from November to March because of spring’s stable temperature. Don’t miss the Manatee Festival in January. The aptly named clear blue waters on premise make it an excellent park for swimming, snorkeling, diving and canoeing. 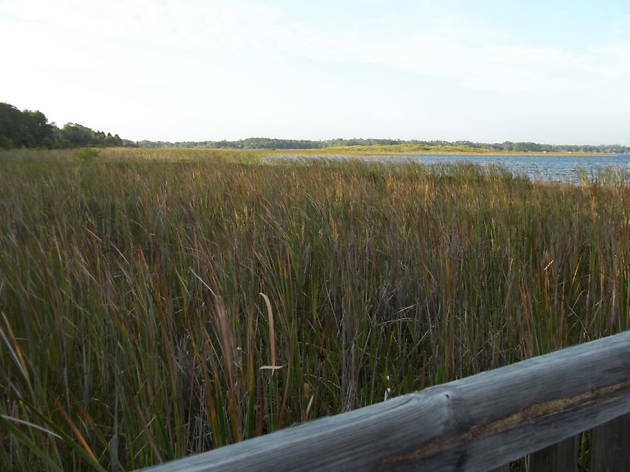 As the longest stretch of undeveloped coastline on Florida’s East coast, this National Park is worth a visit. 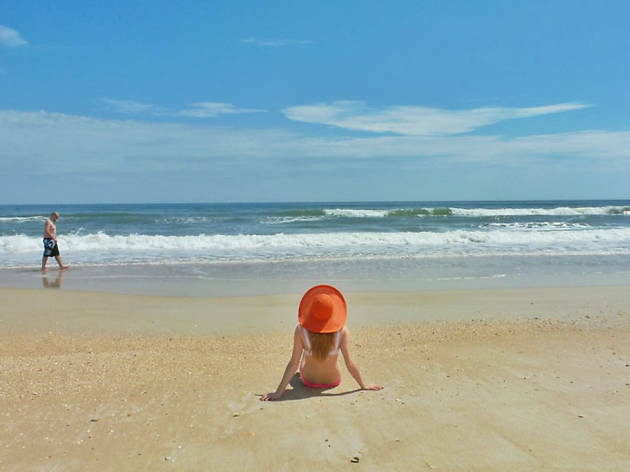 This barrier island is home to protected wildlife, such as the sea turtles that nest here annually. Camp primitively here and wake up to the sounds of the ocean, or hike the many trails that weave through the coastal hammock and pine flat-woods. Keep an eye out for fragments of native pottery, remnants from the first inhabitants of this coastline dating as far back as 2000 BC. Grab your unicorn floaty and head to Kelly Park for a natural lazy river experience. Rock Spring, a 68-degree spring, flows from a vertical rock bluff and creates a lazy current taking tubers on a cool 30-minute ride. Arrive early to snag a spot by the swimming hole. This park fills up fast on the weekends. 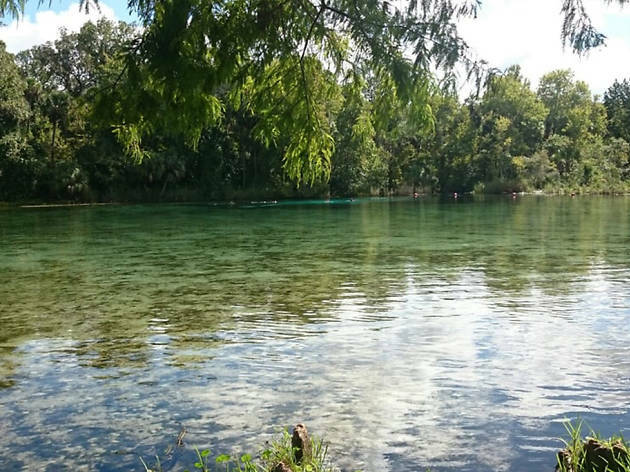 Just 20 minutes north of Orlando, Wekiva Springs State Park is where the locals go. 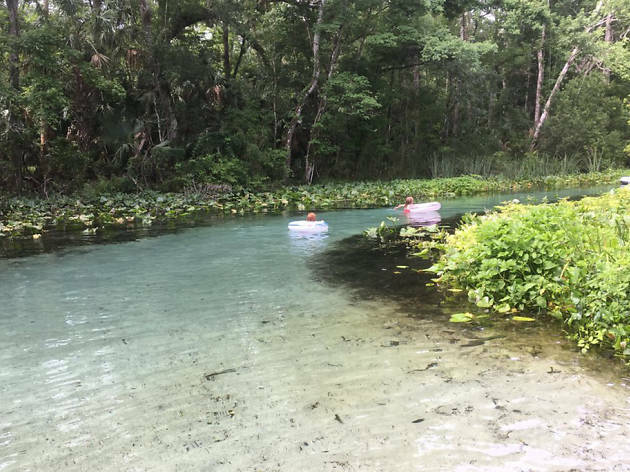 The natural spring, at the headwaters of the Wekiva River, is the main attraction for swimming and cooling off. The 7,000 acres of park also offer plenty of opportunities to hike, bike, camp and even horseback ride. 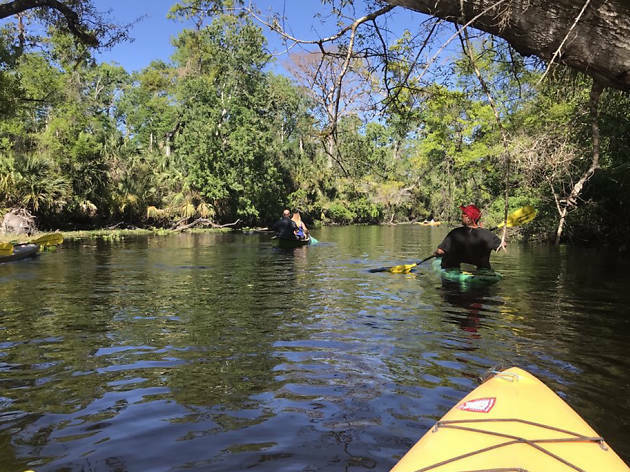 Canoe down to Wekiva Island, a privately owned recreation area, and grab a locally brewed beer at The Tooting Otter bar. The Ocala National Forest is the southernmost forest in the United States, made of 673 square miles of pine scrub. You can also find three different natural springs here for crystal-clear swimming and snorkeling. 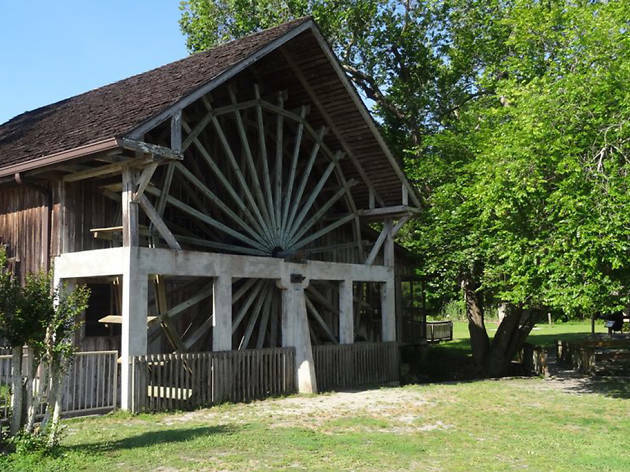 Try heading to Alexander Springs for a day at a natural water park. Come to this park hungry for brunch and eat at the Old Spanish Sugar Mill Restaurant where you make your own pancakes at the table. 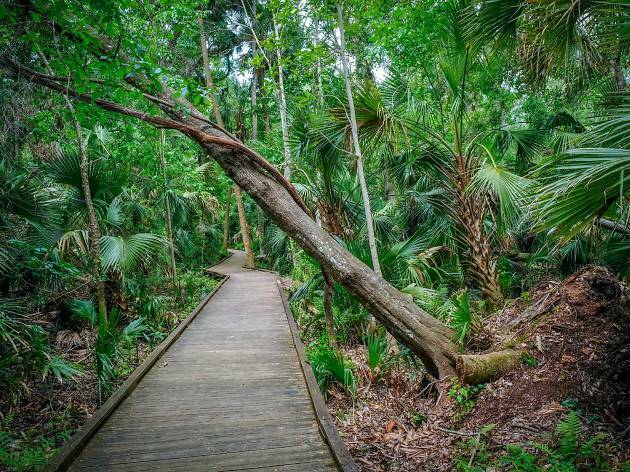 Walk off your breakfast by strolling along the Wild Persimmon hiking trail, where you’ll see a 600-year-old cypress tree. Cool off in the clear and tranquil springs. Just down the road from Walt Disney World is this lesser known state park. You won’t feel like you are in Florida among the area’s rolling hills of pine forests. With over 4,000 acres of natural land, you can hike, bike and camp without hearing the hum of nearby roadways. 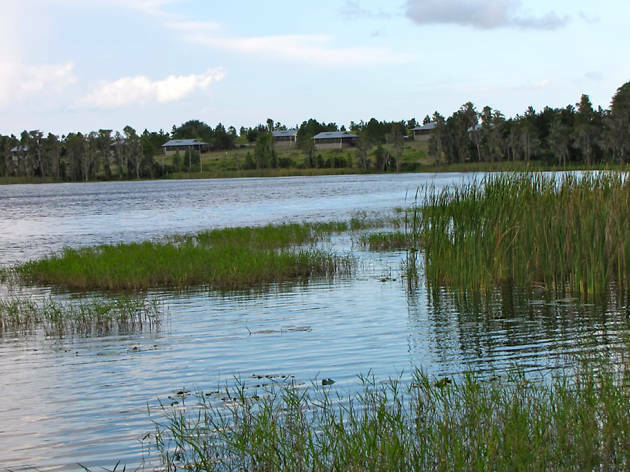 The three lakes on property are perfect for fishing, canoeing or paddle-boarding. Pro advice: explore the park at dawn to get to see distinct Florida wildlife like white-tail deers or the Florida bobcat. This park and trailhead to the Cross-Seminole trail is also home to the Redwoods of the South, the magnificent Bald Cypress trees. This park once housed “The Senator,” the biggest and oldest Bald Cypress Tree at 3,500 years old. 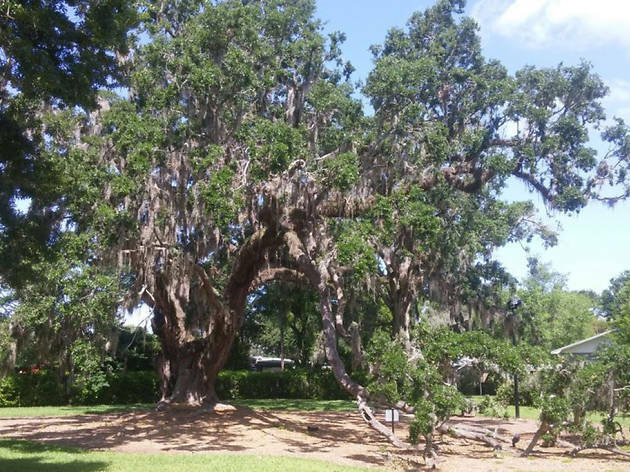 Sadly, the tree was lost to an arsonist in 2012, but you can still visit the site of it and pay respect to its sister tree, the “Lady Liberty,” looking young at 2,000 years old. This manicured garden oasis, which sprawls over 50 acres, is in the heart of the city. The trails wind through different tropical environments that boast bamboos, palms, rose bushes and even butterfly gardens. This is the perfect location for an early evening stroll before a date night in the city. This immaculately landscaped garden just outside of Orlando in Lake Wales is a bird-watcher’s delight. Wind along the paved pathways and explore tranquil nooks and breathtaking sunsets on the property’s rolling landscape. For many, the main delight is the Bok Tower, a singing 60-bell carillon that serenades visitors each day at 1pm and at 3pm. 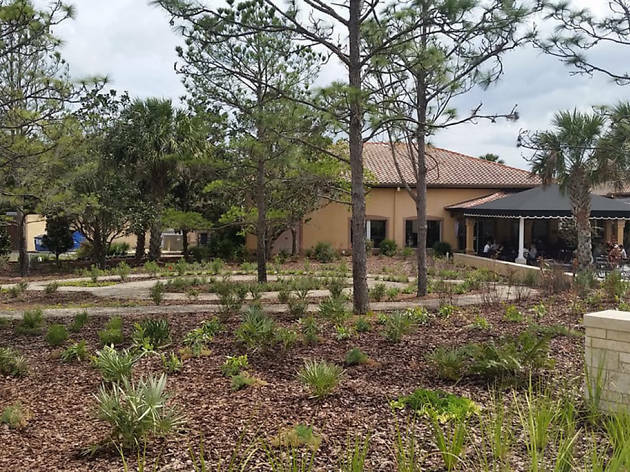 Photograph: Courtesy Yelp/Michelle M. C.
Find the hidden garden with the ritzy Winter Park suburb. Enormous cypress trees shade the mossy floor of the lakeside park, an ideal picnic location that also happens to be a popular spot for weddings. Watch the sunset in the park’s exedra, which overlooks Lake Maitland: this view can’t be beat. 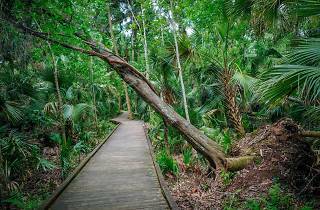 This hike-in camping spot it pure, unspoiled Florida pine forest and palmetto brush. Trails here are perfect for wildlife spotting along the Econlockhatchee River with sightings of bald eagles, bobcats and even the rare indigo snake. Just South of the Orlando International airport is this Orange County gem. 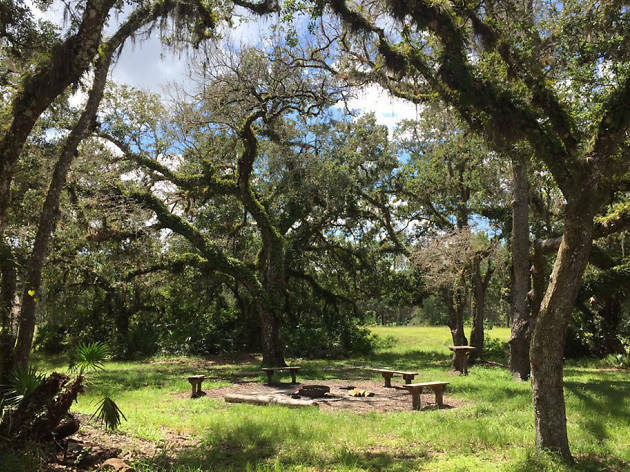 This 1,500-acre-park is a nature oasis with shady campsites hidden by Live Oaks. Don’t be startled by the friendly deers that roam the area and are accustomed to food-bearing peeps that camp out here, just remember to pick up after yourself or you’ll find raccoons at your camper’s door. 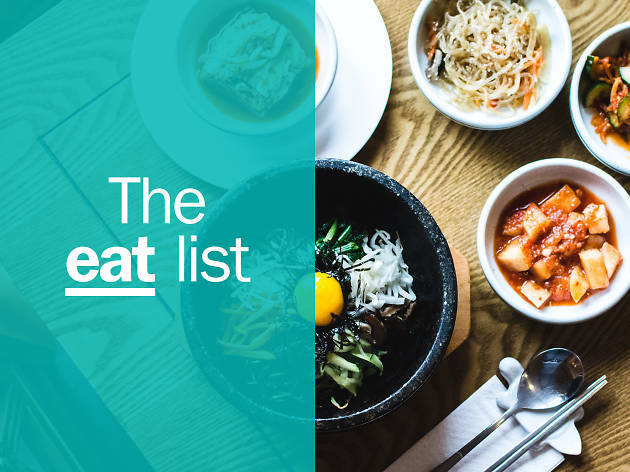 When in town, you (or, rather, your tastebuds) will be awestruck by food trucks and hole-in-the-wall eateries showcasing international foods; bistros and cafes creating seasonal fusion fare; fishmongers slinging seafood straight from Florida’s shores and chefs crafting creations using ingredients from their very own gardens.